Image by hairymuseummatt (original photo) and DrMikeBaxter (derivative work) via Wikimedia Commons, CC BY-SA 2.0 license. Archaeologists have long known how to extract millennia-old stories from a single tooth buried in an ancient ruin—and now geneticists have the tools to join them. Advances made in the last several years have enabled researchers to sequence tiny amounts of DNA preserved in very old specimens, such as the material inside a tooth from the Stone Age. But this ancient DNA (aDNA) is often severely degraded, limiting its use. In GENETICS, Joshua Schraiber describes a new statistical approach to getting the most from these old samples and reports how he used the method to uncover secrets about the relationships between ancient humans and modern ones. A major obstacle to understanding humans’ recent evolutionary history has been the inability to infer much about it using genetic data from people living today. If restricted to data from modern people, we would be locked out of information of great scientific and cultural relevance. The genetic relationships between ancient and modern populations can provide clues about migrations that occurred thousands or tens of thousands of years ago and help us better understand our histories. For example, researchers recently found that many people living in South America today are in part descended from an ancient North American group called the Clovis people. Solving these kinds of puzzles is where aDNA shines—if you know how to use it. Schraiber found that the best way to determine genetic relationships among modern and ancient populations using degraded samples of aDNA is to sequence multiple ancient samples at low coverage rather than fewer samples at high coverage. After applying his new method to existing genetic data from 230 West Eurasian people who lived 8500–2300 years ago, Schraiber discovered that none of them came from populations that are direct ancestors of any modern European populations tested. Schraiber’s analysis also suggests many ancient European people separated into small populations with little gene flow among them, and that most of these local groups died out, leaving a limited genetic legacy in modern European people. His results further imply that the oldest populations were the smallest, although this must be tested further because of the complicated nature of drift time, one of the parameters used in the analysis. Since drift time also complicates other types of analysis, Schraiber anticipates that methods to fully account for the troublesome variable will allow development of a fuller picture of these results. If validated, the increase in effective population size over time predicted by Schraiber’s method would be interesting to compare to archaeological information about ancient humans, especially because many current ideas hinge on a link between agriculture and the rise of larger, more interconnected societies. 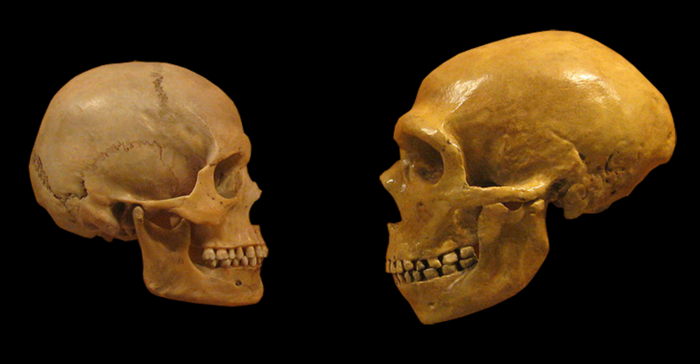 Perhaps new scientific evidence would put to rest some debates about ancient humans’ lives—but it would surely spawn even more questions, too. Joshua G. Schraiber. Assessing the Relationship of Ancient and Modern Populations.